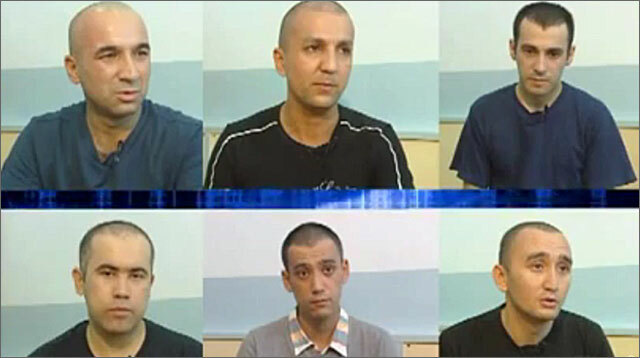 The Initiative Group of Independent Human Rights Activists of Uzbekistan (IGIHRAU) reports that the Tashkent Regional Crime Court convicted six men from Tashkent and Tashkent Region, who received asylum in Norway, to long terms of imprisonment on December 24. The defendants were found guilty of committing crimes provided for in Article 159 (Attempts to Constitutional Order of Republic of Uzbekistan), Article 244 Part 1 (Production and Dissemination of Materials Containing Threat to Public Security and Public Order), Article 244 Part 2 (Establishment, Direction of or Participation in Religious Extremist, Separatist, Fundamentalist or Other Banned Organizations), and Article 246 (Contraband) of the Criminal Code of Uzbekistan. 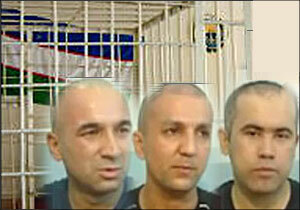 Asadulla Rikhsiyev and Akhmadjon Kholikov were each sentenced to 13 years of imprisonment, while Jakhongir Tojiyev, Shukhrat Ilkhomov, Zafar Karimov and Davron Rakhmanov were convicted to 12 years of imprisonment. Three more defendants charged with Article 241 (Failure to Report Crime or Concealment Thereof) were amnestied. The 43-page indictment reads that the defendants were in Oslo, Norway, illegally between 2008 and April 2014. Some of the defendants obtained the refugee status and lived in a refugee camp. According to the prosecutors, the defendants joined The Islamic Movement of Turkestan, an allegedly religious terrorist organization; they congregated often and watched video clips on banned religious movements. According to the IGIHRAU, all of the suspects in question returned to Tashkent in March and April 2014. Three months later, local law-enforcement bodies took them from their homes under the pretext of needing their testimony in connection with a criminal case; their relatives were promised they would be released in a few hours. However, after they were taken to a local directorate of internal affairs, each faced a trumped-up accusation of violating administrative rules and was subsequently arrested. Judicial bodies issued a 15-day arrest warrant, involving no eyewitnesses or lawyers and having failed to inform the detainees’ relatives. The detainees were then transferred to the Internal Affairs Ministry’s detention facility where they were tortured into confession. Only state-appointed lawyers were involved in the pre-trial investigation, Surat Ikromov, the IGIHRAU chairperson, told Fergana. None of the defendants assumed responsibility for the crimes they allegedly committed. Every single defendant told the judge they were coerced into confession under various kinds of torture—beatings with batons on heels, heads and body, deprivation from food for up to six days, and use of an electro shocker. However, both the judge and prosecutor ignored the defendants’ statements. It is noteworthy that even the government-appointed lawyers stated that their clients’ guilt was not proved and they were planning to appeal the decision. The IGIHRAU points out that on 11 Dec 2014, i.e. while the trial was underway, the Uzbek state TV aired a show entitled “Treason, or New method of using one against homeland.” In the feature programme, the defendants in question confess to various crimes they purportedly committed. A narrator of the feature film stated that the “Norwegian” Uzbeks were also charged with Article 120 (Homosexuality) of the Uzbek Crime Code. However, neither the indictment nor the trial heard this accusation levelled against the defendants. Perhaps the persecutors thought this would be too much. The defendants themselves say they did not testify on record, while the video with their participation was made with a concealed camera and then doctored. The IGIHRAU emphasizes that no single defendant is a religious person, who would offer ritual prayers, visit mosques or be in any way related to religious affairs. However, the aforementioned feature programme claims they frequented mosques on Fridays. Nadejda Atayeva, head of the Paris-based Human Rights in Central Asia Association (AHRCA), published brief information on each of the six convicts on her blog earlier. Top row (l to r): Akhmadjon Kholikov, Shukhrat Ilkhomov, Zafar Karimov. Bottom row (l to r): Jakhongir Tojiyev, Asadulla Rikhsiyev, Davron Rakhmonov. A screen grab from the Khiyonat feature programme. Karimov Zafar Salim ugli, born in Tashkent in 1985. He holds a university degree. According to Mr Karimov, he went to Norway seeking a job. He was met by unknown people, who told him he had to go to the migration service and ask for the refugee status in order to secure a work permit. They also recommended he change his name. Rakhmonov Davron Akhrolovich, born in Tashkent in 1984. He travelled to Norway seeking a job. He was also met by unknown people, who told him to go to the migration service and claim that he was a cards player and lost a big sum of money. If he returns, he would be killed. He had a forged passport issued for a different name, which he used to send money back home. Kholikov Akhmadjon Mukhammadjanovich, born in Tashkent in 1980. He graduated from a high school. He travelled to Norway seeking employment. At the advice of those who arranged his travel, he told the migration service that 1.2 kilograms of narcotics were seized from him and he could be arrested if he returns to Uzbekistan. According to Mr Kholikov, he defrauded the Norwegian authorities in order to obtain a work permit and charge-free housing. When the Norwegian authorities learned that he had a fake Romanian passport, he was arrested and later deported back to Uzbekistan. Ilkhomov Shukhrat Kodirovich, born in Tashkent in 1977. He is married and has two children. Mr Ilkhomov stated he arrived in Norway with the purpose of finding a job. At the advice of the people who helped him to travel to Norway, he claimed he was gay in order to secure a permission to remain in Norway and work legally. Tojiyev Jakhongir Kochkorovich, born in Tashkent in 1984. He is married and has two children. Like other people shown in the programme, he, too, arrived in Norway seeking jobs. He applied for the refugee status in order to secure the right to live and work legally in Norway, and he was certain nobody in Uzbekistan would find out about it. Back in November, when the news about the six Uzbeks in question did not break, one of the most significant Norwegian newspapers, VG, carried an article entitled “A Norwegian citizen arrested in Uzbekistan.” The article narrated the story of a former Uzbek national and current Norwegian citizen, Daniel Andersen (the person in question changed his Uzbek name after accepting the Norwegian citizenship), who went missing in Uzbekistan and nothing was known about him since April 2014. The Norwegian authorities announced they were halting the deportation of Uzbek citizens, having learned from the Khiyonat feature programme the local authorities arrested several “Norwegian” Uzbeks after they returned home. The deportation ban’s duration remains unknown, as the Norwegian authorities are looking into the reasons why former and current citizens of Uzbekistan face dangers upon returning home. According to data the AHRCA has, 18 Uzbek nationals were persecuted after they arrived from Norway in 2014 alone. It is almost impossible to establish their real names and identities, since almost all of them have changed not only their names but also places and dates of birth. Human rights advocates are concerned that Mr Andersen is subjected to torture. The Norwegian ministry of foreign affairs confirmed to journalists that it has tried to contact the Uzbek authorities several times to find the Norwegian citizen. Ivar Dale, representative of the Norwegian Helsinki Committee in Central Asia, said: “This is ultimately another black spot on the human rights record of Uzbekistan, whose authorities sentence innocent people to long prison terms every year on charges that have no basis in reality. But Norwegian authorities also bear responsibility - not to grant asylum to every Uzbek citizen who arrives to Norway, but to demand that an international presence be established in Tashkent, with the mandate to monitor the situation for former asylum seekers from Europe who are returned to their home country. Currently, the fate of such persons remains unknown, there is no way to control that deportees are not arrested, subjected to torture and ill-treatment or even sentenced to prison. Knowing that such practices are commonplace in Uzbekistan, Norway should use its influence to ensure such a presence. As for these six men, Norway must immediately do everything it can to ensure their release. We are glad that the Migration Service has stopped deportations to Uzbekistan, but that is not a final solution. The Norwegian Helsinki Committee does not know these men personally, but they are clearly part of a disturbing pattern where young Uzbek men have their lives ruined by an oppressive government that completely disregards their basic human rights. If the international community is willing to do business in Uzbekistan, it must also be willing to ensure respect for human rights in a much more concrete way than it does today,” Mr Dale says.